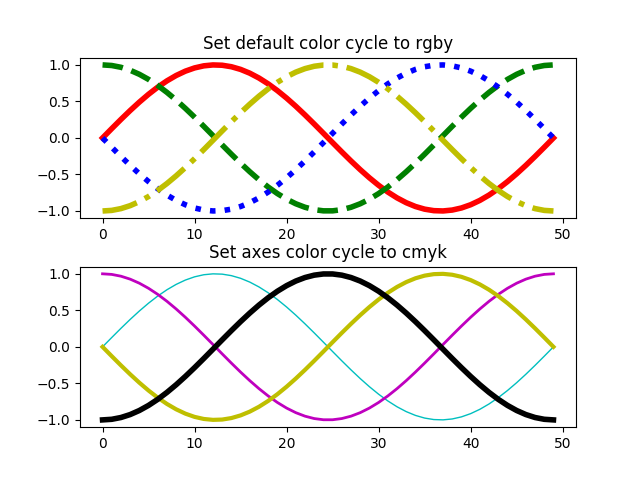 Demo of custom property-cycle settings to control colors and other style properties for multi-line plots. Setting the default rc parameter specifying the property cycle. This affects all subsequent axes (but not axes already created). Setting the property cycle for a single pair of axes.